Starting your own business and managing a team, finances and ensuring day-to-day operations run smoothly is no small feat. Entrepreneurship by its very nature is challenging, but it can also be equally fulfilling. The rewards of being your own boss—especially within the hospitality industry where business is centered on serving people—are significant. We spoke with veteran Chick-fil-A owner-operators, Arthur Greeno, who runs two locations in Tulsa, Oklahoma, and Melissa Winkfield, whose restaurant is in East Point, Georgia, about what they’ve learned through managing their businesses. Greeno emphasizes the importance of talking with the team on a daily basis. He often shares with his employees how he started 23 years ago making six dollars an hour as a team member. Now a father of six, Greeno operates two stores, is an author and has set two Guinness Book World Records. With an array of interests himself, he makes a concerted effort to get to know every one of his team members (he has 125) and find out what makes them tick. Winkfield takes a similar approach, sitting down with her team members every week to discuss personal and professional growth. “I’m a coach, and it’s important that my team knows I’m accessible to them at all times,” she said. Chick-fil-A at Camp Creek Parkway Operator Melissa Winkfield speaks with an employee. 2. Build a network of mentors. It’s easy for an entrepreneur to get bogged down with daily operations and the professional development of employees, but it’s critical for leaders to make time for their own personal development as well. Both Winkfield and Greeno speak with other Chick-fil-A owner-operators regularly to benchmark and discover new ways to improve their businesses. Greeno said he used to be “a ready-fire-aim” guy but has learned to slow down and consider new perspectives, which has improved his results immensely. “The reality is that no entrepreneur has all the answers for how to run a business, and if you don’t ask questions, self-improvement is nearly impossible." 3. Don’t be afraid to ask questions or ask for help. As a business owner, you want to appear as confident as possible, and to some, asking questions or reaching out for advice can be perceived as a sign of inexperience. The reality is that no entrepreneur has all the answers for how to run a business, and if you don’t ask questions, self-improvement is nearly impossible. Winkfield agrees, adding that collaboration builds rapport. 4. Give back to your community and it will come back ten-fold. Success isn’t measured solely on how many dollars you bring in. It’s also measured by how much you help the people around you. 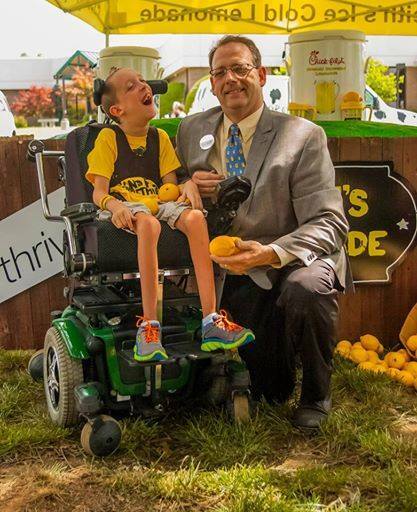 Greeno teamed up with a 10-year-old boy named Keith Boyd to create a successful lemonade stand event. The two raised $100,000 this past August for the Little Light House, a tuition-free school for children with special needs. “My mission is to teach and serve people, and our big thing is to ask ‘what can we do for others?’” he said. Winkfield’s team spends time at nearby homeless shelters and donates to organizations in her neighborhood. She feels giving back locally strengthens ties to the community, builds character and incidentally builds business. Winkfield says if you involve your team, it can be a morale booster too. 5. Teach many people your process. When Winkfield started out as a franchised operator, she made the mistake of only training the general manager rather than other members of her leadership team. Since then, she's made a conscious effort to have multiple people shadow her, which she says empowers her entire team and furthers their professional development. “I learned early on I would have had a higher performing team, and everything wouldn’t have fallen on the shoulders of one person if I had involved more people,” Winkfield said. With a franchise fee of $10,000, the opportunity to become a Chick-fil-A franchised operator is available to individuals with leadership experience, a heart to serve, and a passion for entrepreneurship.